Nothing is more important than the credibility of your company. Your reputation is everything. If your business is viewed in a bad light then you will undoubtedly lose customers and you will never be able to achieve the dizzy heights you dream of. It is also worth taking into account the fact that once your reputation receives a dent it can be extremely difficult to come back from it. People never forget the bad things that happen. A negative reputation will stick for a long time. There are lots of different ways you can go about ensuring your company is reputable and credible. One of the most important procedures you need to bear in mind is the licensing of your software. If you don’t have software licensing then you can seriously damage your business’s reputation. This is something that is relevant to all businesses; no matter how big or small they are. After all, software is utilized across all industries and companies. But before delving further into why you need software licensing, it is imperative to clear up the fact that this is a legal governing that allows you to use and redistribute software. Bearing this in mind, just imagine how bad you would look in the eyes of your customers or other competitors if they found out you were using software without the legal right. A lot of people deem this to be an act of theft because at the end of the day you have no right to use the software in question. Your credibility will take a major hit. In the world of business there seems to be this overriding sense that whilst there is competition, everyone respects that it has to be fair competition. When businesses try and cut corners and bend the law, it is always looked down up. People will avoid using your company because they will not want to provide revenue for those who they deem to be unethical. As much as you don’t want to be known as the company who stole software, you also don’t want to be known as the company who was fined colossal amounts too. But this is what will happen if your software is not licensed. As mentioned, using unlicensed software is considered to be a crime and therefore you will be liable to pay fines. Not only is this damaging with regards to your reputation, but can you really afford to give that money away? When a lot of businesses incur monumental fines, they find that they are never able to come back from it. After all, their cash flow receives a huge hit, yet they are unable to make the money back because customers have stopped believing in the company. This is something that is becoming more and more important today when you consider that lots of businesses are creating their own software, so that they have something that is unique for them. 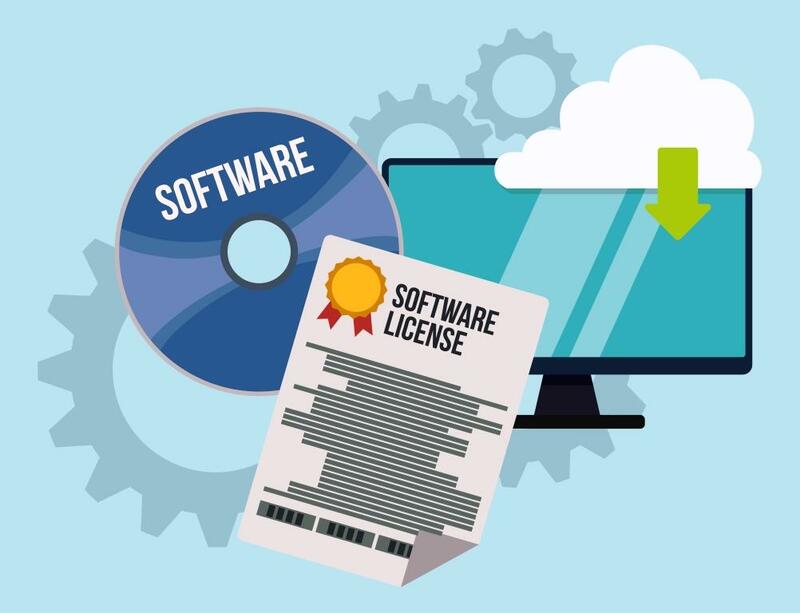 However, if you simply purchase software, you need to make sure that the company in question has the required license in place so that you do not end up on the wrong side of the law. Of course, there are a number of other factors that must be considered when you are looking for software for your business too. This all depends on the specific type of software you are looking for. If you are searching for something industry-specific, for example, the advanced dental software your practice needs, then you will want to make sure it has been created by those with good industry knowledge. You will also want software that is easy to use and is scalable. It is certainly worth taking the time to read what others have had to say about the software you are considering. This will ensure you do not waste your money on something that is not as good as it sounds on the company’s website. To conclude, it is fair to say that software licensing is imperative for all types of businesses. If you have been seen to commit an act of theft then your reputation will receive a huge hit – and one that it is unlikely to ever come back from.